Passing the Referendum could trigger a new journey for our Town Center. We all love Swarthmore, but the Town Center has seen better days both in appearance and vitality. The goal is to stimulate investment that, along with other initiatives, creates a more attractive business district to appeal to more shoppers and potential diners. Case studies of towns like ours demonstrate how this can happen. Another potential benefit is a more sustainable CO-OP, an anchor business whose vitality is crucial for our Town Center. If the CO-OP decides it must sell beer and possibly wine to effectively compete with other area grocers, we must pass the Referendum. The risks on this journey are minimal, and we can manage them. Passage of the referendum would permit only 2 additional businesses to use liquor licenses without Borough Council approval, and the CO-OP could be one of them. Any additional licenses beyond those would require Borough Council and Liquor Control Board approval. We’re also protected by state requirements around table seating and food service, limitations on location of licensed businesses, and mechanisms to appeal license decisions. The physical constraints of our town’s buildings and the property owners also serve as controls on what might be possible or permitted. Ultimately, though, it’s difficult to imagine anyone investing $250K in a license and another $200K+ in renovations knowing that our residents wouldn’t support the business. After all, we can always vote to make Swarthmore dry again, as this Referendum is not permanent. Swarthmore can learn from others who have experienced this journey. As with the Inn and roundabout, change can be difficult for some in our town. Many fear the uncertainty and risks. The good news is that we can learn from the experiences of others that have made the transition. Towns like Slippery Rock PA, Moorestown NJ, and Damascus MD have demonstrated that allowing broader sales of beer, wine and spirits in a controlled fashion can spur economic development without creating unwanted problems in the community. In addition, organizations like Main Street America provide resources for towns like ours to understand how to approach and manage revitalization. We are not alone on this journey. Cafes and bistros in Swarthmore are conceivable on this journey. Cities everywhere feature cafes, bistros, and other eating places that thrive in spaces smaller than those in our town. All that’s required to operate a beer/wine license is 300 square feet, table seating for 30, and space to prepare food. Given state-mandated table seating and food preparation requirements, the spaces in Swarthmore would be hard-pressed to accommodate the undesirable bar or large chain restaurant that many fear. But they’re ideal for a burger & craft beer spot, an upscale pizzeria offering wine, or a taqueria serving tacos and margaritas. This Referendum is not about creating a bustling district like Media or attracting chain restaurants; our town physically won’t accommodate those. Instead, it’s about enabling entrepreneurs to operate intimate and profitable eating places that suit our community. There is no ‘silver bullet’ on this journey. No one said the Referendum would solve all problems in Swarthmore, nor will it make a difference overnight. 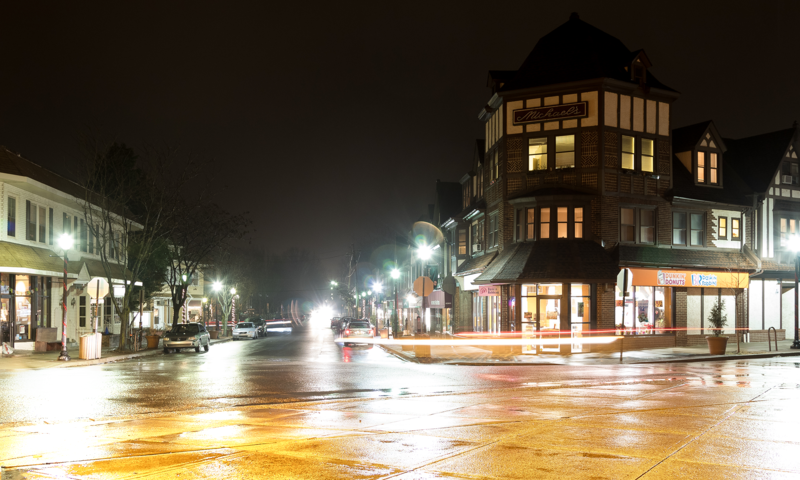 While passage could help the CO-OP solidify its financial position as an anchor business, the broader vision of Swarthmore21 for a more attractive, vibrant, and sustainable Town Center will require much more. Elected officials, the College, Swarthmore Town Center, property and business owners, community groups, residents, and students must come together to define and execute a broader strategy and plan forward for our Town Center. Progress here depends on a series of baby steps, like supporting our local businesses, helping to recruit new entrepreneurs, identifying grant money to fund beautification, volunteering at events and service projects, and much more. Passing this Referendum is just another baby step we must take along this journey. Swarthmore will remain unique through this journey. Swarthmore isn’t unique because of its current “dry” designation. At least 8 other towns in Delaware County—and scores of others throughout the state—share such “dry” status. Actually, with the Broad Table Tavern, BYO at existing restaurants, and the many “wet” events hosted by current businesses, one could argue that Swarthmore isn’t even dry. Whether wet or dry, though, Swarthmore is unique for many other reasons. It’s the history, the College, the trees, the houses, the dogs, the sidewalks, the schools, the values and, most importantly, the people that make Swarthmore unique, and none of this will change on this journey.